There’s no question as to the growing adoption rate of multi-cloud systems. However, not all strategies are created to last. Explore why the use of open-APIs can be a differentiator for your business and how employing an expert to manage those services can take you to the next level. 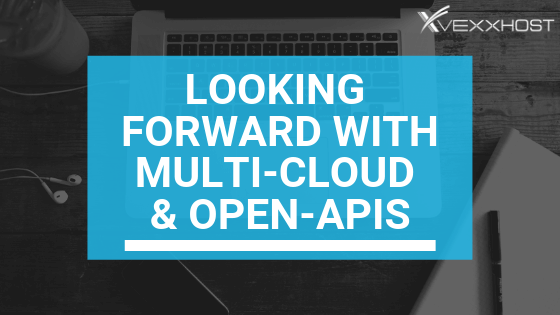 With an open-API based multi-cloud your business can benefit from an extensive set of options geared towards the optimization of IT. This optimization aims to improve agility, productivity and lower costs by empowering enterprises to select the right cloud, at the right place for their specific workload needs. Dealing with a disconnect between the security monitoring of providers. Exerting more effort and spend than the benefit is worth. As mentioned above, when companies go it alone, they can face some real challenges. With managed services, however, organizations can unburden themselves from the operational and integration struggles of their multi-cloud deployment. For instance, having their cloud APIs and tools deployed to multiple clouds (public and private) and delivered as a managed service completely eliminates the challenge of working with different management tools. By having the same tools and APIs, workloads are easily moved to the optimal cloud, all while costs and IT resources are optimized through the skills of the provider. Even where effort relative to benefit is concerned, a managed provider is able to harness their significantly greater experience and ultimately reduce risk – ensuring that the company’s multi-cloud strategy delivers on benefits without eating up resources. With VEXXHOST as your managed services provider, you won’t have the stress of being locked-in to a specific cloud. Through our offering being powered by OpenStack, VEXXHOST is able to offer unbiased expertise with the goal of delivering the right multi-cloud strategy to your company even at an application by application basis. This open-API strategy removes the barriers faced by enterprises by delivering a hybrid cloud that optimizes economics, eases migration to the cloud and avoids vendor lock-in. Partnering with VEXXHOST also alleviates your organization’s IT of the integration and operational burden and risk associated with multi-cloud deployment. Additionally, VEXXHOST is able to give our clients access to unbiased expertise through our consultation offering so that they can focus on their core business.